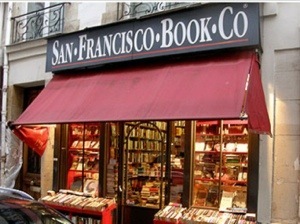 My second offering for off-the-beaten-track bookstore heaven is the amazing San Francisco Bookstore, Paris. This is easily my favourite bookstore. 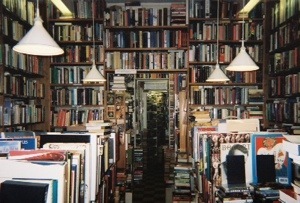 It has all the elements that I require in a bookstore – in that it has towering shelves full of amazing items from rare collectables to modern classics, but it also appeals to me as a librarian and writer. 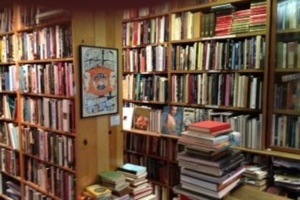 This is not just about losing a few hours mooching amongst the shelves, there is organisation here and the chaps running it are true book people, and more than happy to chat and track down what you need. The books may be stacked high, but they are cared for and in great condition. They have a collection of rare editions that would make you consider selling your all to own. There are treasures in this bookshop from the easily affordable to the “I’d have to remortgage but it would be worth it” variety. Just to be able so hold some of these amazing books (a first of Treasure Island!!) is a treat. The website is also superb and if, like me, you collect firsts or are looking for something specific or special, then these are the chaps for you. They will arrange postage for you, but I think you should just go and visit. I can’t recommend it enough and, if you are a genuine book lover and collector, then you simply must seek it out. In fact, go to Paris just to visit it. Don’t be a tourist snapper, go, visit, buy beautiful things. Go with room in your case and come back with books that will be better than any tourist souvenir. I found some wonderful books, and a lovely first that I didn’t have. Worth the train fare alone. This entry was posted in Reading and Readers, Travel and tagged book shops, bookstores, Paris, readers, reading, San Francisco bookstore.